If you're looking to get involved in the cryptocurrency craze that is hitting the world right now then you are going to need to get yourself a nice new crypto wallet to keep all your coins in. As I mentioned in my previous article on Understanding Cryptocurrencies, cryptocurrencies are basically just software that acts as cash. A crypto wallet is a software program that holds your coins. Or to get more technical, it’s a software program that stores your private and public keys (they come in pairs), enabling you to send and receive coins through the blockchain, as well as monitoring your balance. Cryptocurrency wallets are all built to be secure, but the exact security differs from wallet to wallet. This is probably one of the most important features people will look for when it comes to their crypto wallet choice. There is still some uncertainty and fear that people have (including myself) when it comes to the security of their cryptocurrencies. Online wallets are more vulnerable to being hacked, its the nature of being online. It's unlikely but it is a possibility. Offline wallets are that bit more secure as they cannot be hacked because they simply aren’t connected to an online network and don’t rely on a third party for security. 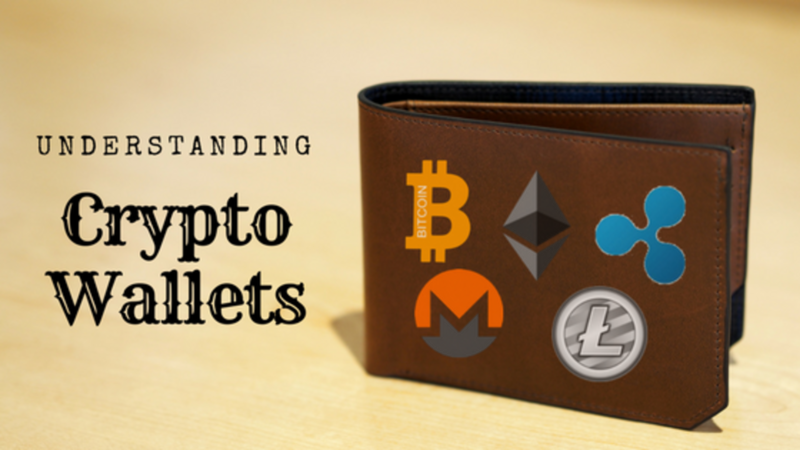 Which Cryptocurrencies do each wallet support? Most coins, such as Bitcoin or Ethereum, have an official wallet or a few officially recommended third-party wallets (Bitcoin Core Wallet and MyEtherWallet respectively). There are also universal wallets that can be used such as HolyTransaction and Exodus which support numerous coins. Cryptocompare has a useful comparison page where you can see the coins that each wallet supports. Not all cryptocurrency wallets are free. 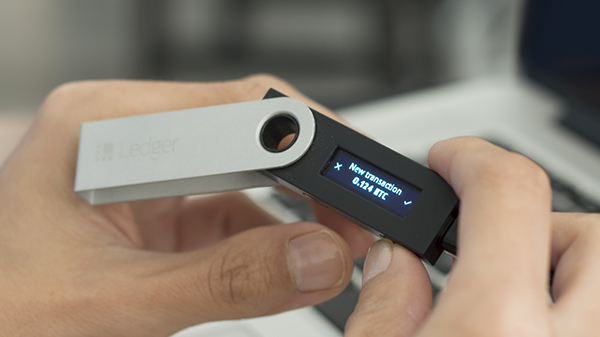 And if you are worried about keeping your crypto coins online you can purchase a Hardware Wallet. These differ from software wallets in that they store a user’s private keys on a hardware device like a USB. Although hardware wallets make transactions online, they are stored offline which, as mentioned above, delivers increased security. Making a transaction is easy. Users simply plug in their device to any internet-enabled computer or device, enter a pin, send currency and confirm. These hardware wallets generally cost between $60-$100. This will be an important feature for those of who are just starting out their crypto journey. Is the user interface easy to navigate and understand? One wallet that has a very friendly interface is Coinbase making it good for beginners. What's more, 100% of your crypto holdings on Coinbase are insured. You can activate 2-Step Verification and Google Authenticator for more protection, and Coinbase also has a vault available if you wish to trade convenience for an added layer of security. The only drawback is that Coinbase only offers Bitcoin and Ethereum wallets. Here are some questions to ask yourself when choosing a wallet. Take some time to assess your requirements and then choose the most suitable wallet/wallets for you. You can have more than one. Remember, diligent security precautions need to be implemented and followed when using any wallet. No matter which wallet you use, losing your private keys will lead you to lose your money. Similarly, if your wallet gets hacked, or you send money to a scammer, there is no way to reclaim lost currency or reverse the transaction. You must take precautions and be very careful! 1. Only store small amounts of currency in any online wallet at any given time. 2. Add more security layers such as two-factor authentication and additional pin code requirements. Long and complex passwords are also recommended. 3. 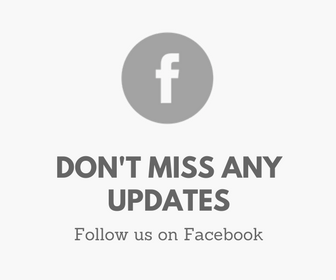 Keep the wallet software updated so that you have the latest security updates. I currently use a Coinbase wallet and MyEthereumWallet. Have you got a crypto wallet yet? Which wallet do you use or recommend? Let me know in the comment section below and tell me what you like or dislike about cryptocurrency wallets.